Certifications gained from Oracle training courses are one of the most sought after markers of credibility for expertise due to Oracle technologies powering of the internet. 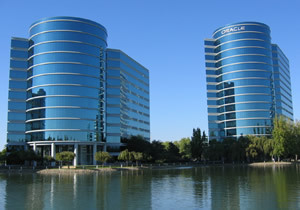 As one of the largest multinational hardware and software providers, Oracle Corporation produces large database management systems, preferred by major corporations worldwide. Being an Oracle Certified Professional can help raise your visibility and increase your access to the industry's most challenging job and career opportunities and financially rewarding roles. Training is offered to both users of the database management systems (in areas like web development, finance etc) to database developers and administrators. For any I.T Professional Certification is your passport to serious IT salaries. 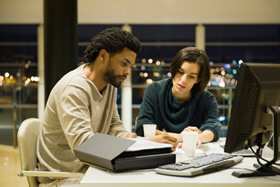 With an Oracle certification, you have devoted the time and effort – and acquired the skills necessary – to prove your worth to potential employers, whether as a full time employee or as a consultant. For any company, Certification is your guarantee that employees will possess the skills required to work in a controlled and effective manner, whether as system managers and engineers, or as users. This training course is for anyone who is preparing for the Oracle Database 11g Administration I (1Z0-052) exam. The Oracle Database 11g: Administration I study guide will prepare you to become certified as an Oracle Database 11g Administrator Certified Associate as well as laying the foundation for the Oracle Database 11g Administrator Certified Professional certification. This series will cover some of the more in-depth database administration topics, such as configuration, security, backups, and recovery. These topics, along with a strong emphasis on database management, will prepare you for the exam. This training course is for anyone who is preparing for the Oracle Database: SQL Certified Expert (1Z0-047) exam.